To coincide with today’s Captain America: Civil War Blu-ray announcement, one of the movie’s visual artists revealed a piece of early concept art for the film via Twitter. Andy Park posted the image of Steve Rogers’ long-time ally Natasha Romanoff aka Black Widow, striking a pose familiar to fans of her MCU performances. While we’ve labelled it an ‘alternate’ look, the differences between this early design and what appear onscreen are subtle. 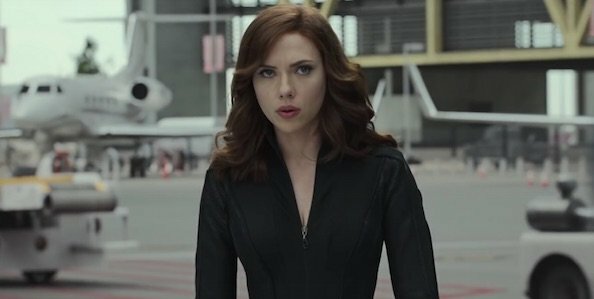 Romanoff’s trademark black ensemble is almost identical, except for a couple of areas that are slightly heightened. Park’s resume reads like a Best-Of comic book movie list, with the artist having sketched out character profiles for several Marvel fan favorites. In addition to the above piece, Guardians Of The Galaxy Vol. 2 and Ant-Man are two of his most recent projects. Today’s piece is a mere taster of his capability, and definitely has us yearning for him to strike out and design something truly unique for the Black Widow solo movie. Captain America: Civil War hits Digital HD and Digital 3D on September 2, and on Blu-ray home video on September 13.